See the results of our first survey recently conducted with ISDRS NPG members, the objectives of the survey include preferences in communication, participation in topic groups and conferences, and views on the ISDR Society. See survey results here. The New Professionals Group aims to be a platform for early-stage researchers working with sustainable development. 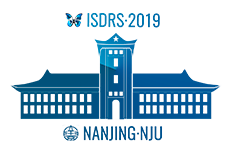 Our main event is the annual PhD workshop at the ISDRS conferences, but we are always looking for activities that will strengthen our community. Do you or your organisation want to be involved with the New Professionals Group? Please look for more information about the Ph.D. Workshop on 25th June at the 2019 Nanjing Conference. The aim of the workshop is to support early career researchers working on sustainable development related topics by providing them with an arena for discussion of their on-going research projects with peers and senior academics. Any early career researcher attending the 25th ISDRS Conference is eligible to register for this PhD workshop, once their abstract is accepted and conference fees are paid. Please click on the workshop link for more information.